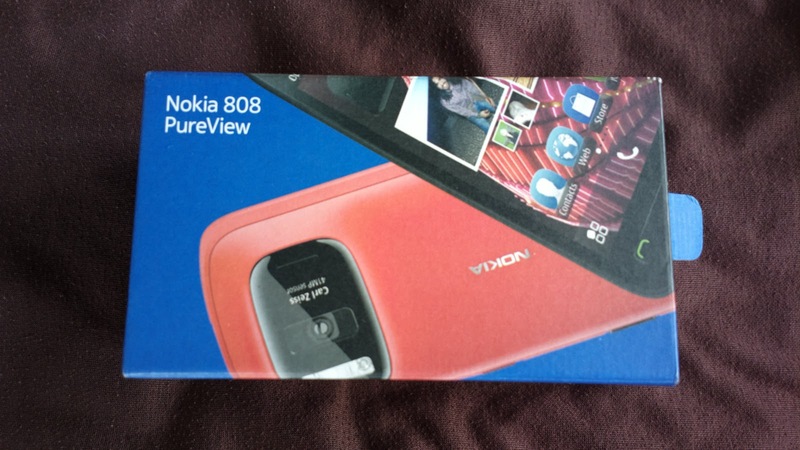 This Nokia 808 mobile review talks about the new Nokia 808 Pureview. 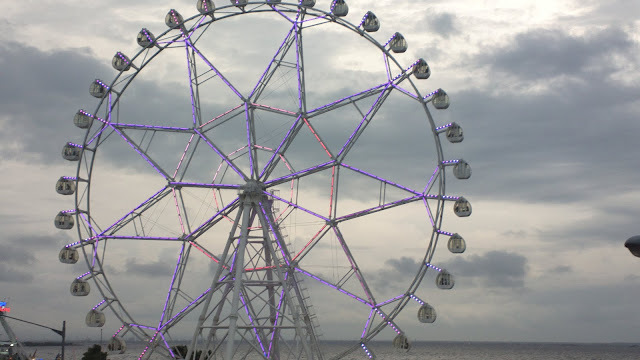 This gadget has arrived in the Philippines after a few months of waiting. Unfortunately, it’s not meant to last. So while this phone is still available, it’s best to know a little more about it on a personal level. I saw a model displayed in a cell phone shop in one of the provincial (where I live nearby) SM malls. It costs around Php 30,000. But on one of Nokia’s authorized resellers in the Philippines at Mall of Asia, the item is offered at Php 27,500. But that’s not what they said over the phone. They at least remembered the recent phone call inquiry and were willing to give the item at only Php 25,500 but on a cash basis. With the addition of an extended 2 years warranty at Php 1,900, the total amount paid is at Php 27,400. Although the item was not even displayed and only the Lumia models are prominently shelved in a conspicuous area, the store people were at least very helpful. They happily showed us the Pureview and made a demo of how it works. My only complaint was that there was not even a Nokia bag to carry the box and the phone with. There was only an unfashionable red Electroworld (most likely the franchisee of the Nokia store) plastic bag to go with it. I mentioned that the Nokia 808 was not meant to last in the Philippines. That explains why it was not even displayed among the other phone units. In fact, the assistant who assisted us admittedly said that the distribution of the Pureview will soon cease and only a few units were intended to be sold. Only those who are genuinely interested and will specifically ask for the unit will have the opportunity to even see it. Also, they only have white and no black or red units available. You have to know that the Nokia 808 only accepts micro SIM cards. So you either need to buy a new SIM or have your current SIM cut to precisely fit the phone’s SIM slot. If you choose the former, you may ask your network provider. I’ve asked the nearby SUN office and they don’t have any. Luckily, the adjacent mobile stores have a specific SIM card cutter which turns regular sized SIM cards into micro SIMs. There’s only a single slot for SIM cards by the way, the slot beside it is for a memory card. Next adjustment will be about contacts. Unfortunately, the micro SIM may become corrupt and you won’t be able to access its memory and everything along with it, including contacts if you have saved them on the SIM. So it’s best to copy your contact numbers on another phone’s memory first prior to transferring it the Pureview. If you are using a compatible Nokia phone, you can actually transfer the contacts from the other Nokia device via Bluetooth. Just go to settings -connectivity - data transfer - phone switch. Then follow the prompts. Powering on the Nokia 808 for the first time will prompt you to choose specifications, I suggest for you to pay attention, otherwise, you miss important updates and syncing. The container box has the phone of course, a charger, headset, phone strap, care guide, user guide, warranty, and NFC info. The charger is comparable to that of iPhone devices where you can separate the head from the USB (version 2.0) cord and use the latter as a USB charger and connection for computers and even HDTVs with HDMI or DLNA ports. 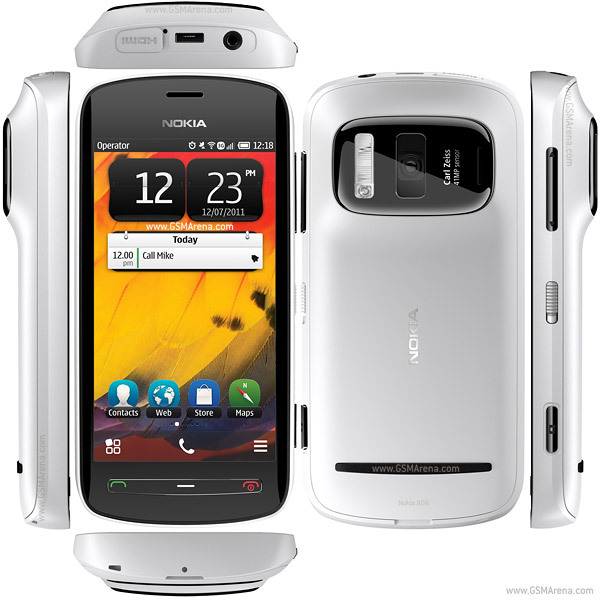 The camera is obviously the number one reason behind purchasing the Nokia 808 Pureview. It was the same reason why I waited for it for months. I wanted to get a good camera that is not too burdensome to carry around (unlike the way DSLR cameras are) for those blogging moments when you want to capture a potential blog post picture at unexpected places. Digicams would have been good enough since there are units which can offer as much as 20 MP or even higher. But it still means I will have to carry 2 items. So I was contented with my Nokia phone then. It is handy and can provide a decent picture which I can always edit afterwards to improve the photo. So here comes the Pureview. It was released last June. The camera is indeed captivating. It features 41 megapixels (can be lowered through the creative menu at the camera, middle buttons) with a 7728 x 4354 pixels ratio (by far the highest among other phones). On the hardware side, it comes with a Carl Zeiss lens, and Xenon flash. Other features include auto focus, 3x lossless digital zoom, neutral density (ND) filter, and 1/1.2'' sensor size. ND filter enables the camera to automatically modify colors to make them more vibrant. For social network fans who would like to upload photos directly from the phone, face detection and geo tagging is possible. For videos, expect HDMI type with 1920 x 1088 pixels, 1080p (the highest resolution), and 30.0 video frame rate per second. Speaking of HDMI, you may connect the phone directly to a computer or an HDTV as well as DLNA compatible devices to view images and videos. As for audio, it supports 3.55 m jack and is compatible with Dolby Digital Plus and Dolby headphone enhancement. There’s also a mic with an active noise cancellation feature. The screen is generous at 4.0 in. with 360 x 640 pixels and 184 ppi pixel density. The higher the ppi pixel density, the crisper the display becomes. The screen is also protected by scratch prevention Gorilla glass. The extended warranty even covers accidental drops which may break the glass with the exemption of liquid damage. As for the home screen, you can choose among 4 and edit which items, options, or menu to add. Still about the screen, you can flip it on a landscape or portrait mode in whichever window you are at. The size at 123.9 mm x 60.2 mm x 13.9 mm is perfect for people with limited grip, unlike other smart phones that are too large to hold. It’s also lightweight at 169 grams. The Nokia 808 connects via Bluetooth at version 3.0 (highest and fastest so far), 3G, 2G, WiFi, HDMI, DLNA, and NFC. As mentioned above, HDMI and DLNA enables direct access of images and videos from the phone towards compatible devices including HDTV, gaming gadgets, and more. NFC can be easily described when compared with bar codes. Scanning the code reveals information about an item. The same applies to NFC and its predecessor QR codes (see embedded links to read more about these technologies). Data speed on the other hand is measured at 14.4 Mbps for HSDPA and 5.76 Mbps for HSUPA. The Pureview offers 16 GB internal mass storage and can be expanded up to 48 GB through a microSD memory card. For best results, choose an HDMI microSD item. You should also know that the higher the MP used on the camera, the bigger the size of the image, thereby, increasing memory used. As for the battery life, the phone promises 6.5 hours talk time and 525 hours on standby (both on 3G). The sales rep at the store mentions 3-5 days on standby mode. True enough, the battery lasts long like most other Nokia phones. You may even extend the battery life by powering on the power saving mode (red phone icon on the right). The phone is preloaded with apps including Adobe Reader, Drive (map which guides you like a GPS), Maps, Traveler, ABC Dictionary, Weather, CNN, NatGeo, Check in (for Facebook mobile places), YouTube, Shazam, F Secure (mobile security), Nokia Sync (free data storage online), QuickOffice (for files and documents), Vlingo (let’s just say it’s like Siri J), JoikuSpot Light (turns your phone into a hotspot), some games like ColorizIt (simply makes photos black and white), Angry Birds (thank goodness! ), Asphalt 6 (race cars), Bounce Boing Battle, BlockBreak3, Lets Golf 2, Silent Film, and so much more. SMS messaging can be displayed on a thread view like other smart phones do. The message reader even reads your text messages for you (apps page through the menu button – four square dots on the left). But since it’s based in English, it would sound awkward if the text is in the local tongue. You can also turn on the “say caller’s name” option through your chosen profile settings and the phone will say whose calling. The phone looks a little bulky, particularly with the Carl Zeiss camera lens protruding at the back. But it’s still definitely smaller than huge DSLR cameras considering the video and camera features it is able to offer. The volume and loudspeaker isn’t as loud as other Nokia phones, particularly the Express Music types. In fact, the loudspeaker sounds broken when you accidentally cover it (bottom area). The back cover is also a bit challenging to open as well as close and you would think it’s going to break; something common with Nokia phones. In terms of apps, there’s no way that the Ovi can beat the Android market (now Google play) although the phone is at least preloaded with useful apps which include games, productivity apps, maps, GPS, and more. As for the operating system, it is incomparable with the Android OS 4.0 (Ice Cream Sandwich) but the Nokia Belle OS is still fast for a smart phone. If you’re looking for the best mobile camera experience, then the Nokia 808 Pureview is the best in town as of the moment. If you’re after apps, Android based phones are still the champions although there are also options available in Symbian when it comes to apps. If you need a phone for messaging and calls, then this device offers both fun and formality. You decide. To conclude this Nokia 808 mobile review, I can rate the Nokia 808 Pureview a 9/10.